This app works with Zuli Smartplugs, Nest Thermostat, and Philips Hue. 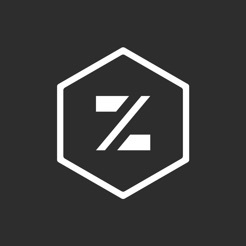 For Support: Please contact support@zuli.io. We’d be happy to help you set up your Smartplugs or answer any other questions you may have. Zuli is creating a home that adapts around you and makes your life more efficient, comfortable and convenient by eliminating the need for manual control. 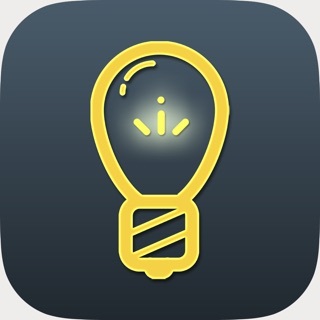 Zuli Smartplugs connect your lights and appliances to your iPhone, so you can control, monitor, and schedule everything in your home. Zuli now works with Nest Thermostat, and Philips Hue — so you can control your lighting, appliances and your thermostat all from one beautiful app. 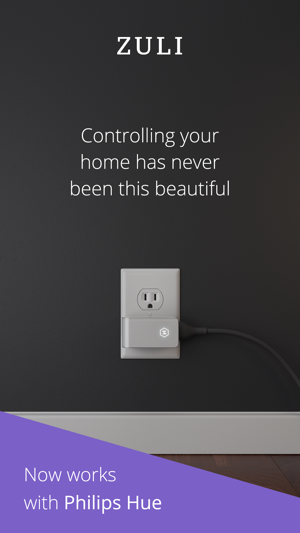 • When your home has Zuli Presence, any room with a Smartplug will know you’re there or not. 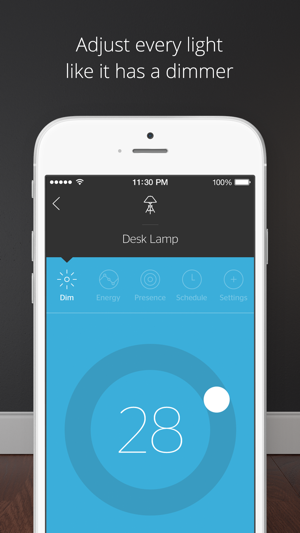 Lighting and temperature will instantly adapt to your preferences. Zuli Presence also enhances the experience of other smart home products. • Lift only a finger. Tap on, tap off. 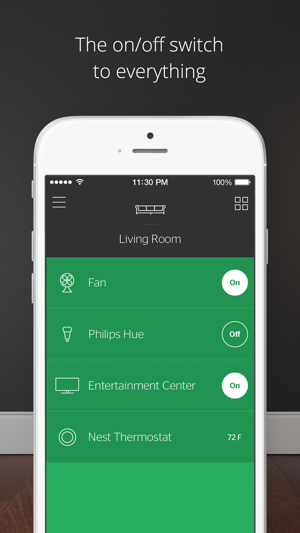 Stay comfortable while controlling lights from the Zuli app. Set the ambiance for the entire room, with a single tap or swipe. See your energy at a glance. A smarter home means smarter choices. • Get the mood right. Adjust every light like it has a dimmer, even when it doesn’t. • Everything on your time. Create schedules for lights and appliances, and never think about them again. 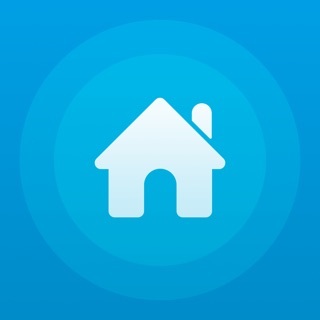 • Zuli Works with Nest and Philips Hue. 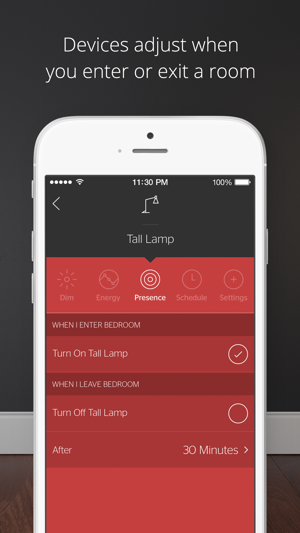 Turn down the lights and the temperature without ever leaving the Zuli app. Simplified control means a more comfortable life. Continued use of GPS running in the background can dramatically decrease battery life. Location only utilized when Zuli Smartplugs are in range. + General compatibility fixes with latest iOS release. + Fixes issue with 'Only in Evenings' mode not saving preference upon log out. Great attention to detail on the plugs, you can use two in a wall socket, to animation that shows while the app is commanding a plug to turn on or off. Much faster response time than a wemo plug, better app design, and larger fonts for easier viewing. And with presence configured, its magic when you forgot you set it up and it turns a light on. Works great with Hue lights. Highly recommend. Requires iOS 7.1 or later. 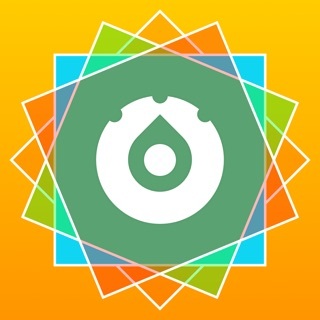 Compatible with iPhone 4s, iPhone 5, iPhone 5c, iPhone 5s, iPhone 6, iPhone 6 Plus, iPhone 6s, iPhone 6s Plus, iPhone SE, iPhone 7, iPhone 7 Plus, iPhone 8, iPhone 8 Plus, iPhone X, iPhone XS, iPhone XS Max, iPhone XR, iPad Wi-Fi (3rd generation), iPad Wi‑Fi + Cellular (3rd generation), iPad Wi-Fi (4th generation), iPad Wi-Fi + Cellular (4th generation), iPad mini Wi-Fi, iPad mini Wi-Fi + Cellular, iPad Air, iPad Air Wi-Fi + Cellular, iPad mini 2, iPad mini 2 Wi-Fi + Cellular, iPad Air 2, iPad Air 2 Wi-Fi + Cellular, iPad mini 3, iPad mini 3 Wi-Fi + Cellular, iPad mini 4, iPad mini 4 Wi-Fi + Cellular, 12.9-inch iPad Pro, 12.9-inch iPad Pro Wi-Fi + Cellular, 9.7-inch iPad Pro, 9.7-inch iPad Pro Wi-Fi + Cellular, iPad (5th generation), iPad Wi-Fi + Cellular (5th generation), 12.9-inch iPad Pro (2nd generation), 12.9-inch iPad Pro Wi‑Fi + Cellular (2nd generation), 10.5-inch iPad Pro, 10.5-inch iPad Pro Wi‑Fi + Cellular, iPad (6th generation), iPad Wi-Fi + Cellular (6th generation), iPad Pro (11-inch), iPad Pro (11-inch) Wi-Fi + Cellular, iPad Pro (12.9-inch) (3rd generation), iPad Pro (12.9-inch) (3rd generation) Wi-Fi + Cellular, iPad mini (5th generation), iPad mini (5th generation) Wi-Fi + Cellular, iPad Air (3rd generation), iPad Air (3rd generation) Wi-Fi + Cellular, and iPod touch.